Alkaptonuria is a rare inherited disorder. It occurs when your body can’t produce enough of an enzyme called homogentisic dioxygenase (HGD). This enzyme is used to break down a toxic substance called homogentisic acid. When you don’t produce enough HGD, homogentisic acid builds up in your body. The buildup of homogentisic acid causes your bones and cartilage to become discolored and brittle. This typically leads to osteoarthritis, especially in your spine and large joints. People with alkaptonuria also have urine that turns dark brown or black when it’s exposed to air. Alkaptonuria was one of the four diseases described by Sir Archibald Edward Garrod, as being the result of the accumulation of intermediates due to metabolic deficiencies. He linked ochronosis with the accumulation of alkaptans in 1902, and his views on the subject, including its mode of heritance, were summarized in a 1908 Croonian Lecture at the Royal College of Physicians. The defect was narrowed down to homogentisic acid oxidase deficiency in a study published in 1958. The genetic basis was elucidated in 1996, when HGD mutations were demonstrated. A 1977 study showed that an ochronotic Egyptian mummy had probably suffered from alkaptonuria. It occurs in 1:100,000 to 1:250,000 live births in most European countries. There is an exceptionally high incidence in Slovakia at 1:19,000 but only about 10 of the chromosomal variations are present. This suggests inbreeding in a restricted gene pool. There is no difference in incidence between the sexes except that males tend to present sooner with more severe disease. The only risk of getting Alkaptonuria is actually through inheritance. so if your family has a history of having the disorder chances are you may be at risk of getting it or passing it on. On the other hand if you have no family history of Alkaptonuria, then you’re in the clear! Alkaptonuria is a genetic disorder, caused by defect in a gene responsible for breakdown of certain parts of proteins. The gene named HGD, controls and provides information to produce an enzyme called homogentisate oxidase. This enzyme performs the function of breaking down the amino acids namely phenylalanine and tyrosine that help to build up proteins. In this condition, there occur some genetic changes or mutations in this gene, which disturbs its normal functioning. Urine in an infant’s diaper may darken and can turn almost black after several hours. However, many people with this condition may not know they have it until mid-adulthood (around age 40), when joint and other problems occur. As the disease progresses, Homogentisic Acid (HGA) deposits cause more serious health problems as they accumulate in the joints, bones, eardrums and heart and blood vessels. Limited mobility: Advanced arthritis due to HGA deposits eventually limits mobility, especially as the knee and hip joints are increasingly affected. Difficulty breathing: If the joints of the ribs are affected, breathing may become difficult due to stiffness that limits expansion of the ribcage to inhale air. HGA accumulation may also eventually affect bone density, causing bones to be brittle and more susceptible to fractures. Hearing loss: Accumulation of HGA in the tympanic membrane causes the eardrum to become thickened and stiff, which can lead to hearing loss. Damaged heart valves: The heart valves are flap-like structures that open and close to control the movement of blood through the heart and out to the body. Cartilage is the connective tissue that makes the heart valves flexible. If HGA builds up in the cartilage of heart valves, the valves become stiff and brittle and unable to adequately control blood flow. Irregular heart rhythms: Accumulation of HGA in heart tissue can affect the electrical impulses that control heart contraction, leading to irregular heart rhythms. Coronary artery disease: Coronary artery disease develops when HGA deposits in blood vessels cause stiffness and weakness, affecting their ability to transport blood effectively. Stones: High levels of HGA in the body may also promote the formation of kidney stones, gallstones, prostate stones and salivary gland stones. Your doctor may suspect you have alkaptonuria if your urine turns dark brown or black when it’s exposed to air. They may also test you for the condition if you develop early onset osteoarthritis. Your doctor can use a test called gas chromatography to look for traces of homogentisic acid in your urine. They can also use DNA testing to check for the mutated HGD gene. Family history is very useful in making a diagnosis of alkaptonuria. However, many people don’t know they carry the gene. Your parents might be carriers without realizing it. Treatment aims at reducing the pigment deposition, which is responsible for further complications. Vitamin C, with its antioxidant nature may play a role in delaying the process of homogentisic acid formation or may be helpful in reducing its deposition in the tissues and thus delay the arthritic process. High doses of vitamin C, around 1g/d may be advised for adults and older children. While the involvement of dietary restrictions remain unclear, it may be helpful to restrict the intake of proteins as the amino acids are not properly broken down. A mild dietary protein restriction to reduce the intake of phenylalanine and tyrosine, may be considered, especially in children. Surgical intervention may be required in elderly patients for fusion of lumbar discs. Joint replacement and valve replacement surgeries may be considered in some patients as appropriate. Observation of dark colored urine in infants or young children should be promptly evaluated. Genetic counseling for known cases and those with a family history can help. Prenatal tests to detect the condition in the womb may be considered. For patients of alkaptonuria, following medical advice and regular monitoring can help in early detection and treatment of symptoms. Some of the possible complications include arthritis, heart diseases and kidney or prostate stones, mainly caused by deposition of the excess acid. Following a healthy routine with a balanced meal and restricting high protein intake can help. Regular exercise may be carried out with medical advice. 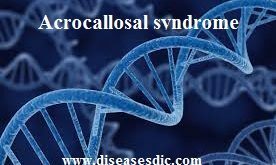 Previous Apallic syndrome or Unresponsive Wakefulness Syndrome (UWS): Causes, diagnosis, treatment and prognosis. Next Parkinson’s disease (PD): Causes, risk factors, preventions and measures. 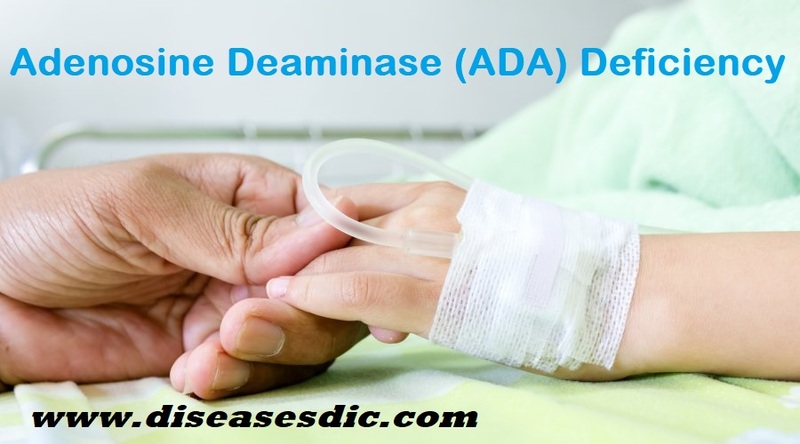 ADA Deficiency – Overview, Causes, and Prognosis.